PondAir™ Aeration Kits - Airmax® Inc.
Airmax® PondAir™ Aeration Kits deliver essential oxygen and circulation to ponds up to 2,000 gallons. Designed as a complete aeration solution, the PondAir™ contains everything you need to introduce aeration to small water gardens and features with a quick and simple installation. Running on as little as 4 watts, these whisper-quiet diaphragm aeration pumps are the heart and soul of our PondAir™ aeration units. Costing virtually nothing to run, you can feel good about providing constant aeration to your pond. Dial-in aeration output with the twist of your finger. The airflow control dial enables you to restrict airflow to your pond when desired without the need for tools or stone adjustments. Simply turn the dial to restrict airflow or run the aeration pump at full output for maximum aeration. Flexible black vinyl airline allows for strategic air stone placement to maximize air and water circulation. PondAir™ vinyl airline has an approximate inside diameter of 1/8” and is packaged in 30’ lengths. Water tends to climb aeration airlines when your aeration pump is powered down. Airflow check valves allow oxygen to travel outwards from the aeration pump while preventing water from traveling into the lines when not in use to prevent potential water damage to your aeration unit. Designed to improve oxygen absorption, these 2” diameter air stones create ultra-fine air bubbles that infuse oxygen directly into the water column. 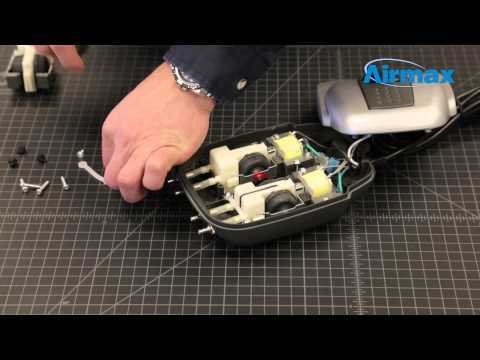 Airmax® Product Video – PondAir™2 Maintenance Kit Installation. Learn how to install the PondAir™2 Maintenance Kit. 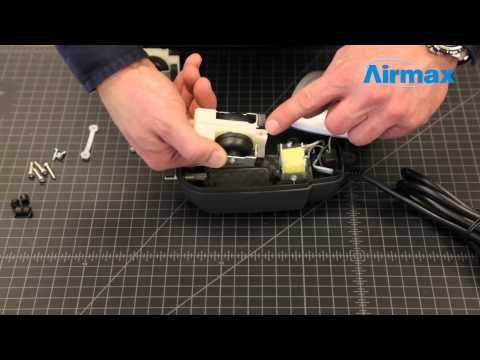 Airmax® Product Video – PondAir™4 Maintenance Kit Installation. Learn how to install the PondAir™4 Maintenance Kit.